Purchase the optional 1 or 2yr extended warranty, to extend the standard 1 year warranty to 2 or 3 years respectively. ProxTalker.com, LLC warrants that any hardware provided is free from defects in materials and workmanship under normal use. ProxTalker.com, LLC warrants that the product will perform substantially in accordance with the specifications set forth in the documentation acc-ompanying the device. However, abusive handling, contamination by immersion in liquids, exposure to extreme temperatures, battery leakage, or modification of the housing may make it difficult or impossible for the product to perform. 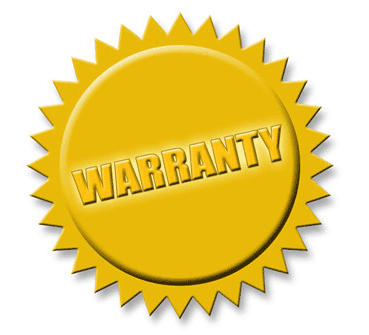 The warranties described above are made for a period of one year from the date the products are delivered to you as the first user. ProxTalker.com, LLC does not warrant that the product will meet your requirements or that its operation will be uninterrupted or error free. The warranty does not cover any component or part of the product that has been subjected to damage or abuse, or that has been altered or changed in any way by you or others. ProxTalker.com, LLC is not responsible for problems caused by any user supplied hardware, batteries, or any upgrades or modifications to these items that are made after the delivery of the product to you. FULLEST EXTENT PERMITTED BY LAW. ProxTalker.com, LLC will repair or replace any hardware that proves defective in materials, workmanship, or must be corrected to achieve warranted performance, without additional charge, on an exchange basis, as described below. If ProxTalker. com, LLC is unable to replace defective hardware or is unable to make the product perform to its specifications within a reasonable time, ProxTalker.com, LLC will either replace the defective product with a similar product or refund the purchase price of the product. similar damages arising from any breach of these warranties, even if ProxTalker.com, LLC or its agent has been advised of the possibility of such damages.